Attention all Anglophiles, Anglomaniacs, and affectionados of fantasy! 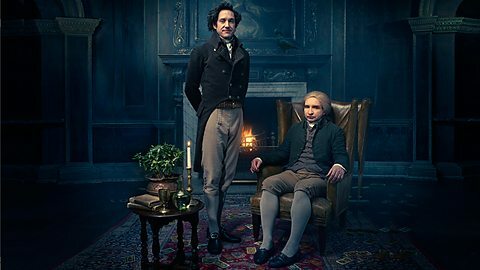 Set your DVRs for “Jonathan Strange and Mr. Norrell” a lavish seven part mini-series based on the dizzingly brilliant book by Susanna Clarke which comes to BBCAmerica June 13. Coming to BBC America June 13! Our friends in the UK are already more than halfway through the series and a lucky few in Los Angeles were attendees at screening of the first two episodes hosted by the Screen Actor’s Guild Foundation. I’ve read and adored the book. This television version gets the mood just right. The atmosphere pulls the crowd right in this gray, labyrinthine world of Regency England under constant threat from Napoleon’s forces and seemingly abandoned by English magic. The story begins with Mr.Segundus (Edward Hogg) asking the distinguished members of the York Society of theoretical magicians why magic is no longer practiced is England. His quest to find the answer reveals two very different magicians working to revive the magical tradition. Mr. Norrell is a methodical, stodgy, by the book (thousands of books!) practical magician who brings his talents south from York to London to help with the war effort. Despite knowing the dangers, he makes a disastrous deal to solidify his reputation with the ton. Mr. Strange (Bertie Carvel) embraces magic after a bizarre encounter with the street magician Vinculus (Paul Kaye at his creepiest), who sells him a couple of spells to get him on his way to fulfilling a prophecy. Norrell grudgingly takes Strange on as an apprentice but guards his secrets and only imparts his knowledge of magic to Strange in carefully measured doses. In a time of national crisis when Norrell makes himself unavailable, the government turns to Strange for help, and bears witness to magic at it’s most reckless and wonderful. This changes everything. Even seven packed hours of television won’t give you the detail you get in the eight hundred and forty-six page book, but from what I’ve seen in the first two episodes, the storytelling is quick and sometimes very funny, the many characters are clear, the magic is great fun, and the endless dance party at Lost-Hope is exquisite. 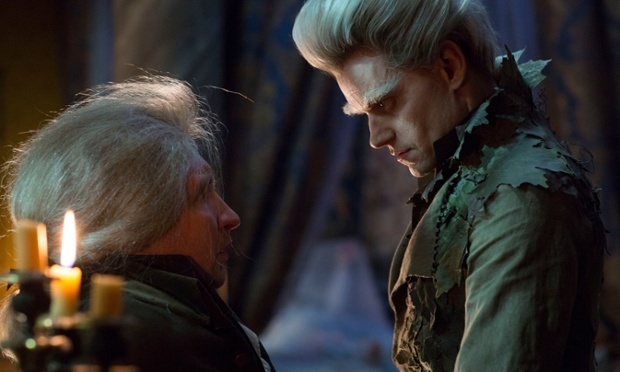 Ariyon Bakare as Stephen Black, Marc Warren as the Gentleman with Thistledown Hair, Charlotte Riley as Arabella Strange and Alice Englert as Lady Pole breathe beautiful life into the world of their richly drawn characters even as they are at the mercy of their magic-infused interlaced realities. At the SAG screening, Eddie Marsan, who plays Mr. Norrell, joined the audience flanked by a pair of his “Ray Donovan” co-stars before taking the stage for a post-screening interview. He talked to the crowd about the craft of acting, his love of playing a diverse array of characters, preference for playing “wrong’uns”, and belief that every costume he wears makes him look like a longshoreman. Marsan evoked the biggest laugh when he said he received a copy the book at the time he was offered the role. It is quite an intimidating tome, and he told his agent he’d only read it if they paid him…and so they did…and he accepted the role! 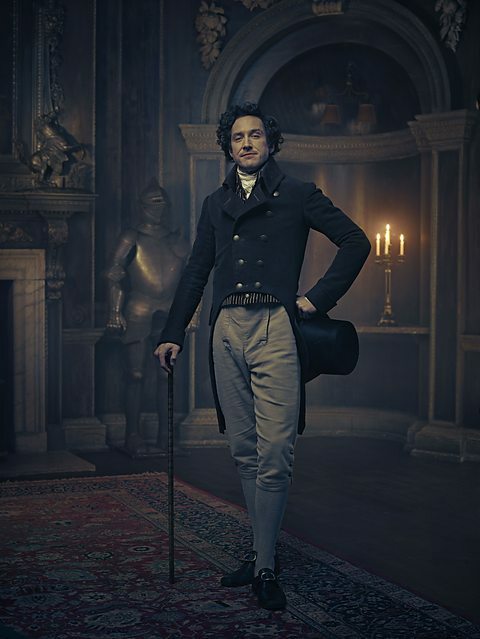 He makes Mr. Norrell a compelling character with whom he believes the audiences will empathize as they see him make choices out of his own fear. He told us, “They’ll say well, that’s not right, but I’d do the same”. 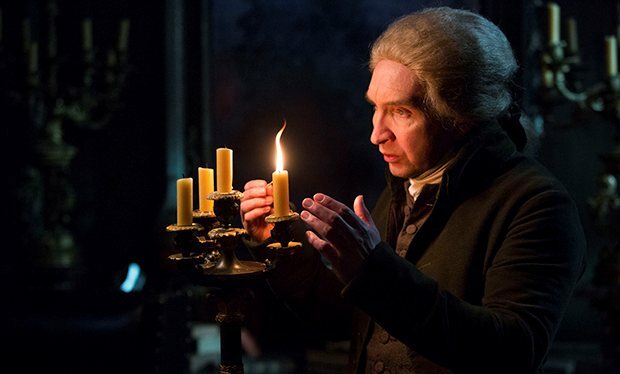 Marsan asserted that there was no great mystery to acting, but happily for audiences of “Jonathan Strange & Mr. Norrell”, there is plenty of magic. Tune into BBC America tomorrow night and be sure to let us know what you think of this fantastic new British drama! This entry was posted in Bats In My Bonnet By Lady Elyse Ashton, British Telly and tagged BBC America, Eddie Marsan, Jonathan Strange and Mr. Norrell. Bookmark the permalink.